The physics of earthquake processes has remained enigmatic due partly to a lack of direct and near-field observations that are essential for the validation of models and concepts. 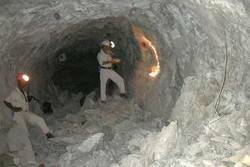 DAFSAM proposes to reduce significantly this limitation by conducting research in deep mines that are unique laboratories for full-scale analysis of seismogenic processes. The mines provide a ‘missing link' that bridges between the failure of simple and small samples in laboratory experiments, and earthquakes along complex and large faults in the crust.